Bacter M is a biotechnological product of high range to a high concentration for the improvement of water quality. Selected bacterial strains , nitrifying and denitrifying transform the ammonia into nitrite , nitrite to nitrate and nitrite nitrogen . 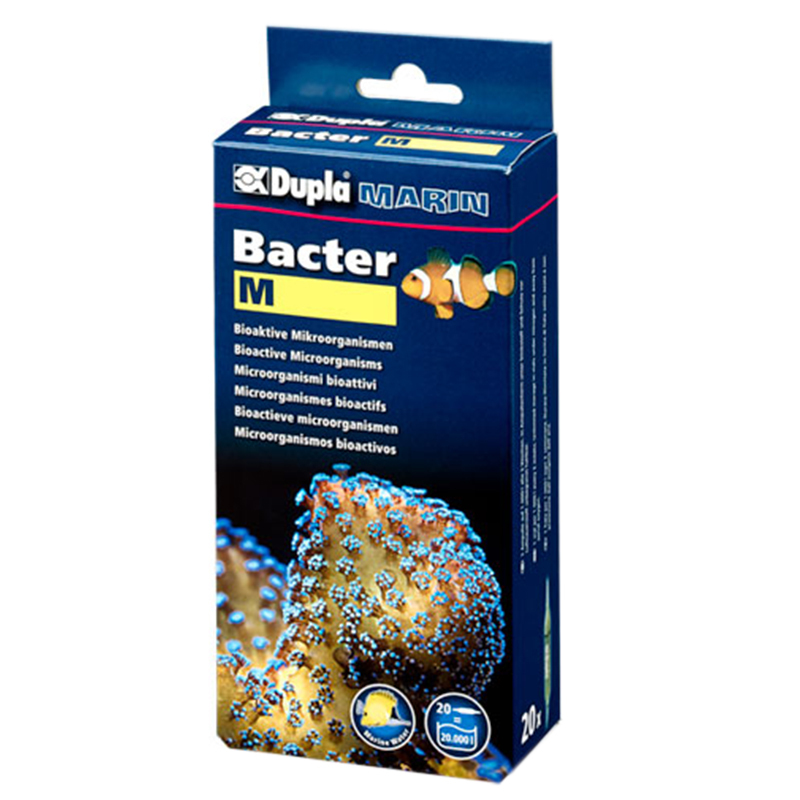 Bacter M accelerates the initial phase of the life of the aquarium and , thanks to the reduction of nitrates and phosphates, prevents the growth of red algae , biologically cleans the water by absorbing organic waste , restores and maintains the balance of the bacterial strains and reduces the risk of infection . To clean the water: 1 vial per 1000 gallons every 2 weeks. For the reduction of nitrite : 1 vial + 1 ampoule per 60 liters for the filter. Shake the vial vigorously for 15 seconds before use to stir up the bacteria deposited at the ends of the tube itself. Dissolve in 1 liter of aquarium water before adding the mixture to water and filter.